I got my first electric guitar when I was fifteen. Pappy took me down to Denny’s Strings ‘n Things in Gresham and let me pick her out. It was my birthday. The store is no longer there. That was quite a good bit ago. When a musician finds their instrument, the one meant for them, there is a recognition. You take it off the rack and it buzzes in your haptic perceptions. You feel it in the body. In your viscera. You hold a first guitar close. It’s like meeting a beautiful woman for the first time and holding her gaze; a moment when there are no words between. The breath stills and pupils dilate. There is a certain fizz somewhere deep down. She was a candy apple red Washburn. Maple neck. Two single coils in the front and mid, humbucker in the rear. She was magic, that one. I played all night and I fell asleep with her still cooing in my arms as sleep overtook. When you meet your first guitar or trombone or ukulele or accordion, then you’ll begin to know what to look for when your first instrument chooses you. First of Nine Top Tip: it’s the one that makes ya smile. 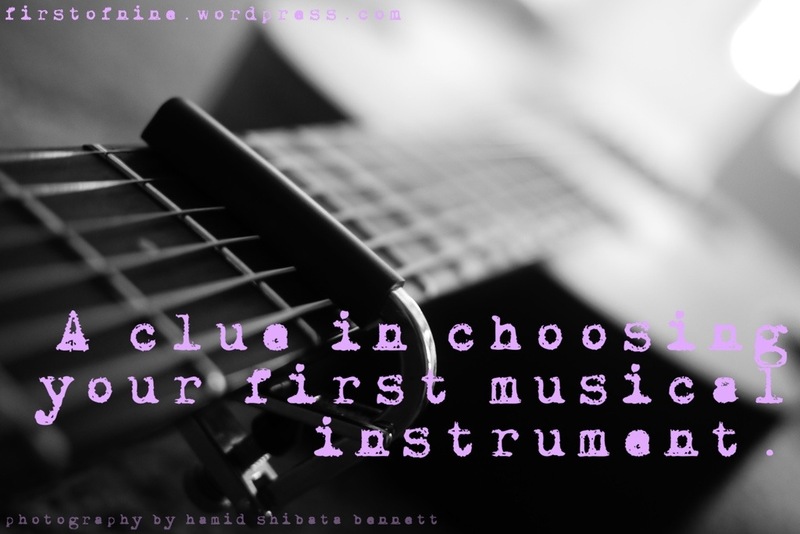 What was your first instrument? Tell us about it in the reply! • The Taking Care Sound Tribe goes to the recording studio – Read about the making of a sound healing album, now on CD and digital download on CDbaby and iTunes! This entry was posted on February 8, 2015 by Hamid Shibata Bennett, LMT, CAMT in Music and sound and tagged electric guitar, first guitar, first instrument, Gresham, guitar, music, Musical instrument, Oregon, Portland, sound healing, Sound therapy.